"The last 5km are downhill and then flat, with a gentle left-hand turn at a roundabout around 500m from the line. Another day for a bunch finish…"
When the headline of a betting preview asks the question, "A day for the breakaway? ", as yesterday's did, it's a little embarrassing to tune in with 30km to go and find the bizarre sight of the entire peloton, sat up, turning their wheels over, with no breakaway in existence, the riders seemingly protesting at the length of the stage. Still, at least David Millar, commentating, was shocked by it too, so I shouldn't feel too ignorant. As it worked out, the scenario didn't favour our recommendations, with Dylan Groenewegen silencing doubters - of which I was one - and adding himself to the ever-growing list of riders capable of picking up a sprint stage in this year's Tour. Stage 8 will, presumably, see a return to normality, with a breakaway being reeled in by the sprint teams in the final kilometres, before the speedsters go head-to-head for the last time until Stage 13. The stage is a much more reasonable 181km, so the unionised peloton will have no reason to work-to-rule again, and there are only a few lumps and bumps, with two, small categorised climbs. The last 5km are downhill and then flat, with a gentle left-hand turn at a roundabout around 500m from the line. Another day for a bunch finish. Oh, and it's Bastille Day, so expect the French riders to be up for it. Fernando Gaviria ([2.88]) and Peter Sagan ([5.50]) are favourites again, but Stage 7 raised questions as to their condition. Both were in contention in the final metres, but Groenewegen strolled past them, suggesting that their dominance is waning. That view might be reading too much in to a single sprint, though. The pace of the approach into Chartres was unusual, and there was a steep kick-up prior to the final sprint, so Groenewegen's seeming dominance could have been as much about him judging his effort well, rather than a sign of Gaviria and Sagan being spent forces. The list grows daily. A valid case can be made for Andre Greipel ([16.00]), who won the last Tour stage to finish in Amiens in 2015, Sonny Colbrelli ([23.00]), Arnaud Demare ([12.00]), who will spearhead French hopes, and now Dylan Groenewegen ([3.40]). All have been prominent in a sprint at some point during the opening week, and any of them have the capability of winning Stage 8. At the odds, perhaps Colbrelli and Greipel are the most attractive betting propositions amongst them. The only sprinter who hasn't impressed so far has been Marcel Kittel ([8.00]). Perhaps he met trouble on Stage 7, because he rolled in at the back of the front group, in 118th place, but that was a continuation of a poor Tour so far, which has seen him post a seemingly promising 3rd place in the opening sprint, but do very little to be hopeful about since. Perhaps Stage 8 will change his fortunes, but I doubt it. 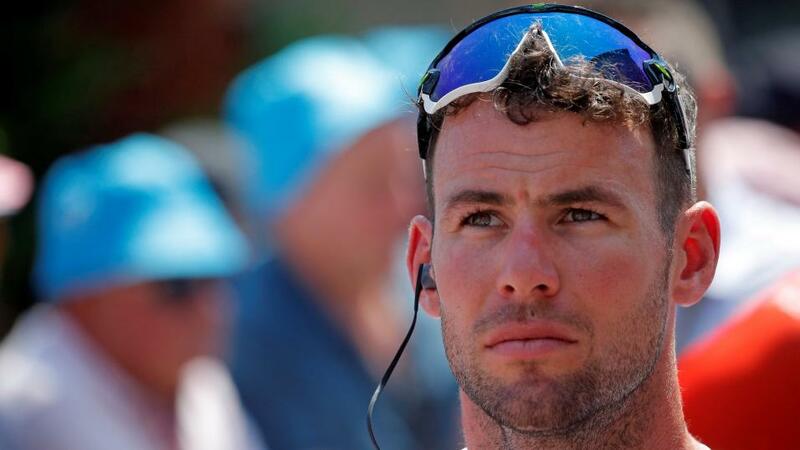 Meanwhile, I'll be taking a punt on Mark Cavendish at around [30.00]. He was much more commanding on Stage 7 than we've seen so far, with his Dimension Data team-mates taking a prominent position in the closing kilometres, and he briefly looked like the most likely winner. It didn't work out that way, but the Amiens finish will suit him better than Chartres did, and, at the odds, he looks the value bet in a wide-open bunch sprint. Stage 9 - 15 cobbled sections on the way to Roubaix - await the General Classification contenders, and they'll be doing all they can to avoid trouble and conserve energy on this stage as they ready themselves, physically and mentally, for that challenge. With no high winds forecast, there shouldn't be any cross-winds to contend with, so if they evade crashes, the stage shouldn't change anything in the Yellow Jersey competition. Gaviria and Sagan will presumably all-but match each other for points in the Green Jersey competition, as they have on most of the stages in this year's Tour. Sagan currently holds a 31-point advantage, but will be hopeful of extending that lead on the cobbles of Stage 9 and when the mountains arrive thereafter. That's why he's the overwhelming [1.23] favourite: it still looks like only a major calamity can stop him taking his sixth Points Competition. The race for the King of the Mountains jersey has yet to really start, and the Young Rider competition - where Egan Bernal ([2.16]) is already well positioned - will only take shape when the mountains arrive on Stage 10. Tour de France 2018: Stage 7: A day for the breakaway?